A fantastic opportunity to check out your kit before diving in the sea. 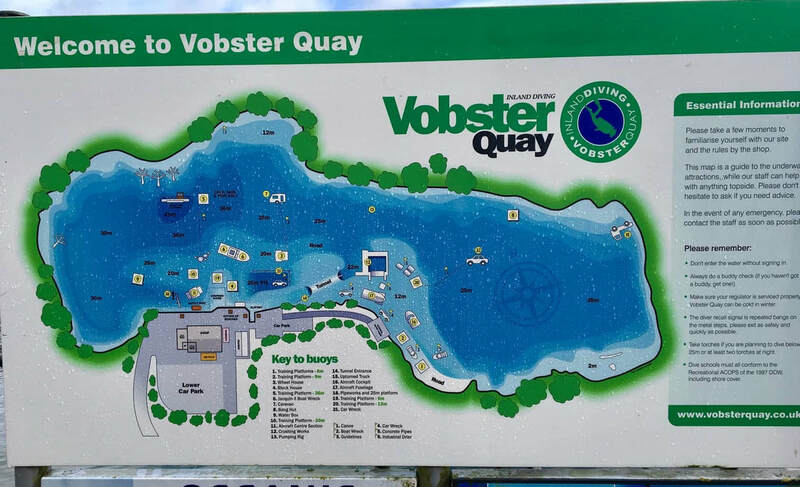 Vobster is an inland dive site, well set out, with many underwater attractions, going to a depth of 30m in places. We will be diving Saturday and Sunday and various training programmes will be running this weekend including SCUBA Review, Dry Suit courses and more, so please ask for details. If you just want to come along and dive you are most welcome. Stay overnight in one of several bed and breakfasts or local farm houses. We'll be staying just around the corner at Holwell Farm in the Mobile SCUBA home.